The Board of Directors have designated him as Chairman Emeritus. Mr. Robert G. Steele, President and Chief Executor Officer of the Company, has been appointed Chairman of the Board of Directors effective February 26, 2018. “I look forward to continuing to work with the Board and management team to build upon the success of the Company,” commented Rob Steele. Mr. Rob Steele has led management and the Company in focusing on the radio broadcasting industry, successfully growing Newcap Radio into the largest pure radio company in Canada with 101 broadcast licences across the country. Newfoundland Capital Corporation Limited (TSX: NCC.A, NCC.B) owns and operates Newcap Radio, which is one of Canada’s leading radio broadcasters with 101 broadcast licences (72 radio stations and 29 repeating signals) across Canada. The Company reaches millions of listeners each week through a variety of formats and is a recognized industry leader in radio programming, sales and networking. While some companies are just now adding their stations to Home Speaker platforms like Amazon’s Alexa, Federated Media was an early adopter. 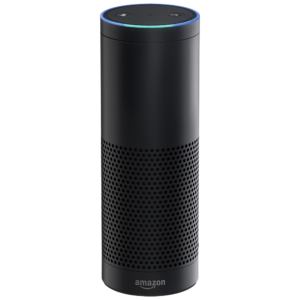 In fact Federated Media was the first company to build an Alexa skill, and put its radio stations on the platform, about a year ago. Federated Media has always been one of radio’s innovative companies, never afraid to take chances on new platforms the company can see consumers are heading for. James Derby is the Chief Strategy Officer and Director of Programming for Federated Media. We spoke to Derby about the Home Speaker platform, why radio stations should be there and the new skills Federated is building as these devices make their way into the homes of millions of consumers.